Home News Exciting News at Sunset Cove! Exciting News at Sunset Cove! Sunset Cove is excited to announce that our original building has been extensively renovated and upgraded, and a new 38-room, 4-storey wing has been added! • New activity room with TV, refrigerator, counter, etc. We’ve also added new amenities to improve the comfort, care and safety of our residents including: heating and cooling controls in every room, a wireless call alert system for every resident and Wi-Fi throughout their facility to ensure that residents can easily stay in touch with their families. 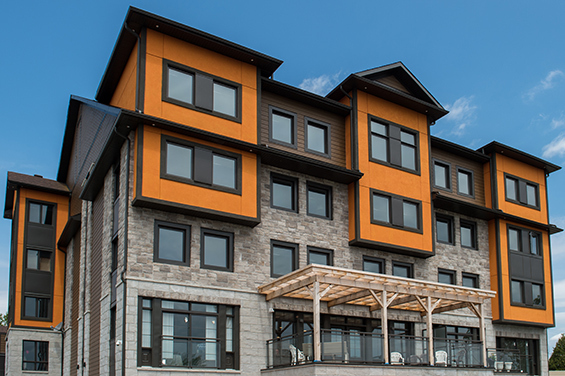 Book a lunch and tour of Sunset Cove by calling Kim at 613-534-2307. At Sunset Cove we offer independent living and assisted living services, yet a private lifestyle. Our standard services include 24-hour professional care staff who provide in-house emergency response and individualized assistance on a daily basis. Staff members also assist residents with their own daily wellness.